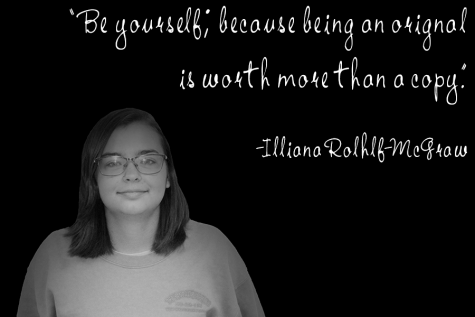 My name is Illiana Rohlf-McGraw, and I am a sophomore. I'm only involved in cheerleading, but I also work at Dairy Queen. Something interesting about me is that I cheer like a robot.